Martynov won his second world cup gold medal of the year climbing from the second place, and secured his leadership atop of the world ranking. Denmark’s Nielsen followed him securing a Quota, while the home shooter Brodmeier closed the match in third. The second Olympic Quota went to Switzerland’s Marcel Buerge, fourth today. 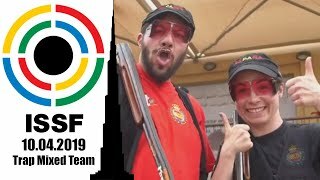 The World’s #1 Rifle Prone shooter, the two-time world champion Sergei Martynov of Belarus, won today’s 50m Rifle Prone Men at the 2011 ISSF World Cup in Munich. 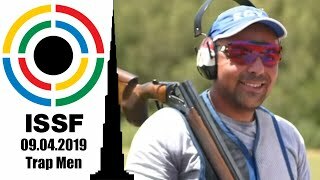 Shooting on one of his favourite ranges in the world – here Sergei had won the 2010 ISSF World Championship, last August - Martynov started the medal hurdles in second place, after qualifying for the final with 598 points. Climbing up with a series of excellent scores, he moved in the lead after the sixth shot, when he gained one tenth of advantage over his closest opponent, Germany’s Brodmeier. Shooting a great 10.8 on his eighth final shot, and then closing the match with a 10.7, Martynov recorded the highest score in the final – 105.3 points – and the highest total – 703.3 points – winning his second World Cup Gold of the season. 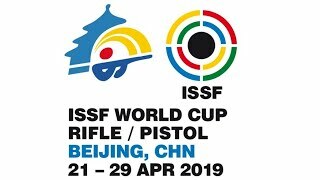 Just three weeks ago, the Belarusian shooter had equalled the 600-point world record for the seventh time in his career, at the ISSF World Cup in Fort Benning, where he eventually pocketed a Silver. Since he started competing, back in 1986, Martynov has been winning two World Championships, five ISSF World Cup Finals and twenty-nine ISSF World Cup medals. Standing as one of the most titled rifle shooters of the world, he participated in four Olympic editions, winning two Bronzes. Now, with this incredible series of positive results, he’s approaching to the 2012 London Olympic Games, aiming to win the only trophy missing from his medal showcase: the Olympic Gold. Finishing in second behind the unreachable Martyniov, it was another Danish shooter who finished in the spotlights, today. Kenneth Nielsen, 43, climbed from the seventh place and nailed the Silver medal with an overall score of 701.4 (598+103.4) points securing an Olympic Quota Place, the second qualification spot won by the Danish team at this competition after the Quota pocketed by Anette Jensen at yesterday’s 10m Air Rifle Women event. 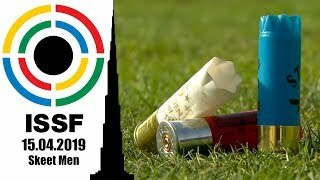 Climbing to the second place, Nielsen disappointed the home shooter Daniel Brodmeier, a 23-year old German athlete ranked 41st in the world in this event. The young finalist had entered today’s match in the lead, with an almost-perfect qualification score of 599 points and with one point of advantage onMartynoc and Nielsen. Not enough to secure the leadership. Scoring 102.2 points throughout the ten-shot final, Brodmeier landed indeed in third place, wearing the Gold medal with an overall score of 701.2 points. It was Switzerland’s Marcel Buerge who followed him in fourth place. 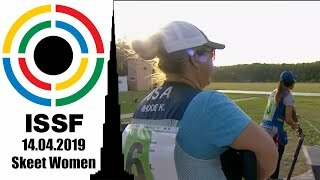 The 39-year old shooter - a three-time 300-meter world champion - walked into the final with a qualification score of 598 points. Then, shooting 102.9 points he landed in fourth place with a total score of 700.9 points. Enough to pocket an Olympic Quota Place, an entrance ticket to the next 2012 Olympic Games in London. A young first time medallist, Austria’s 21-year old Thomas Mathis, took the fifth place with 700.7 (598+102.7) points, followed by the French flag bearer, Paris’ Valerian Sauveplane, a current world record holder ranked fourth in the world in this event, who landed in sixth place with 700.2 (597+103.2) after qualifying for the final match through a shoot-off. Russia’s Olympic multi-medallist Sergei Khadjibekov, 41, closed the match in seventh with 699.3 (598+101.3) points, followed by Belarus’ Yury Shcherbatsevich, 26, eighth with 698.2 (598+100.2) points.